Do you ever wonder what you were put on Earth to do? I know I certainly do. Well, one thing that I've always come back to and seem to have a passion for is making sure girls understand their worth and where that worth should come from. Growing up, I didn't see that I had any worth whatsoever. My dad was never around to affirm anything about me. I had crappy grades in school. I was drinking & partying throughout high school. I made a lot of bad choices. I knew I wasn't the least bit attractive with my zits, bad clothes, and being chunky. I've never given my girls the impression that they are anything but beautiful. We don't do make-up around here because I let them know they don't need it. Would I care at this age if they wore make-up? No, it's not an issue for me. I've never once heard them talk bad about their looks, praise the Lord! I'm also thankful that a boy has never defined who they are either. Both girls have been academic successes! Again, a big high 5 to our Lord! They're both involved in youth group by their own choice. They've got great groups of friends who are all trying to live their lives for God. When I was a youth leader a couple years ago, my heart was (and is) for those girls who weren't so connected. Girls who believe their worth comes from what boys think of them and what they can give to those boys. Those girls who think no one would ever love them because they weren't pretty enough, smart enough, etc. I think that's why groups like BarlowGirl and Superchic[k] have come in to play for me. BG's entire self titled CD is all about girls and finding their worth: Mirror, Clothes, Average Girl, et al. Superchic[k]'s song Bowling Ball is one I love. There are even several books that I like to share with girls: The Secret Keeper: The Delicate Power of Modesty by Dannah Gresh and The Princess and the Kiss by Jennie Bishop and Apples of Gold by Lisa Samson. 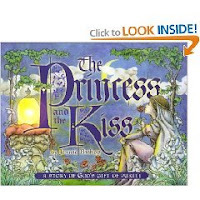 I remember reading The Princess and the Kiss to my oldest daughter's friend about 3-4 yrs ago and crying as I read it to her. Of course my daughter was rolling her eyes because I was being me. I was hoping that her friend was "getting" her preciousness! 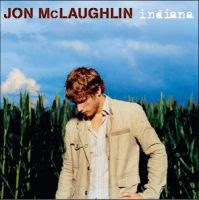 Beautiful Disaster by Jon McLaughlin is a powerful song and it spoke straight to my heart. I wish someone would've spoken any of the words of this song to me! Please go check out this video on YouTube. "She prays one day she'll find someone to need her"
"Every magazine tells her she's not good enough..."
"She would change everything, everything, just ask her"
"She's given boys what they want, and tries to act nonchalant"
"She would change everything, for happy ever after"
This is true for so many girls, even "good", church going, youth group attending girls. They are missing the message that they are beautiful and worth more than precious jewels in God's eyes. My prayer is that one day, God will use me in the lives of the girls in our community! Thanks for always coming by and commenting on my blog. Come claim your "Let's Be Friends" Award on my blog.